The Noise Rating - NR - Curve is developed by the International Organization for Standardization (ISO 1973) to determine the acceptable indoor environment for hearing preservation, speech communication and annoyance. The noise rating graphs for different sound pressure levels are plotted at acceptable sound pressure levels at different frequencies. Acceptable sound pressure level vary with the room and the use of it. Different curves are obtained for each type of use. Each curve is obtained by a NR number. Note! Noise Rating - NR - is commonly used in Europe. The Noise Criterion - NC - is more common in USA. 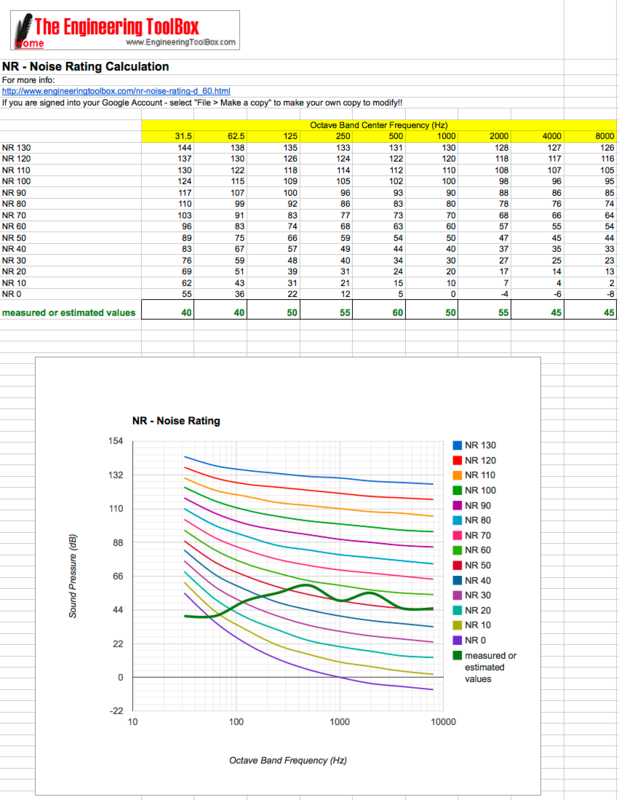 Open the NR - Noise Rating example in your browser! You can save and modify your own copy of the example above if you are signed into your Google Account. Engineering ToolBox, (2003). NR - Noise Rating Curve. 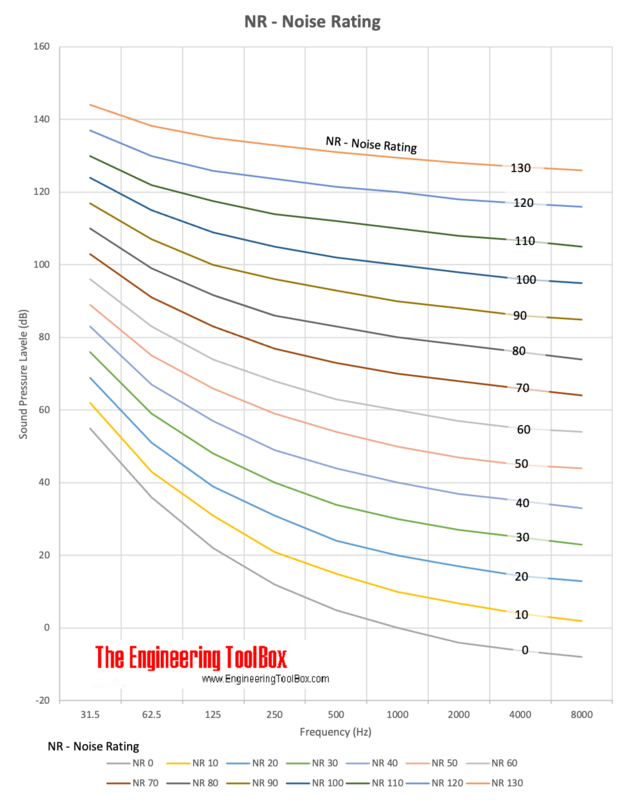 [online] Available at: https://www.engineeringtoolbox.com/nr-noise-rating-d_60.html [Accessed Day Mo. Year].